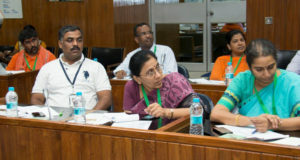 Millet processors from across India gathered to discuss ways to test and enter export markets. 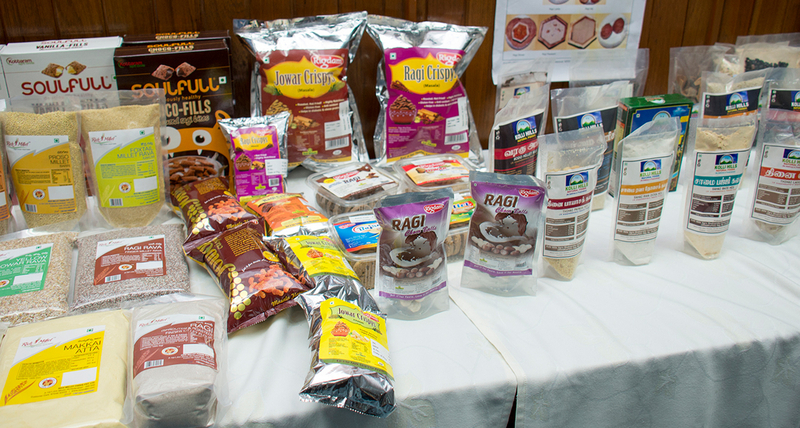 Innovative options were presented to achieve this and a basket of quality millet (including sorghum) branded products pulled together to show off Indian products. Trade exhibitions and promotion undertaken with a special Smart Food section and promotional activities and material to support this. 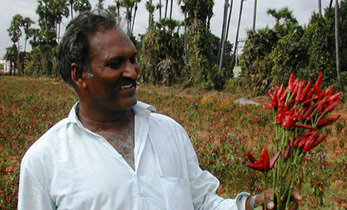 Distribution chain set up with an exporter, importer and distributor to help with market entry. 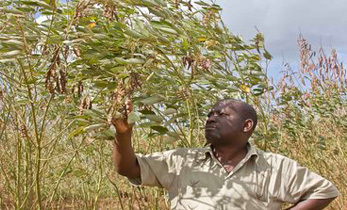 Product sampling and market testing undertaken in export markets. 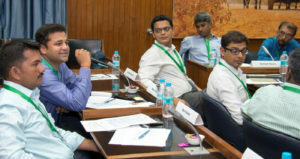 Selecting one major trade fair, implementing this initiative and then collecting lessons learnt to continue to build the initiative. 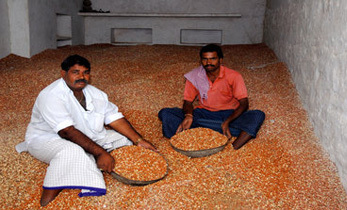 Setting up a WhatsApp group for millet processors and organizations who wish to be involved. 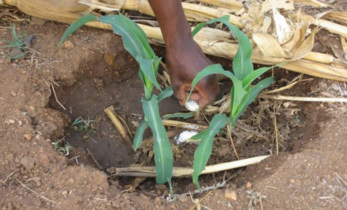 Implementing research projects, including market research as well as technical research, especially to extend the shelf life of millet flour. Reviewing improvements to grading and processing standards. 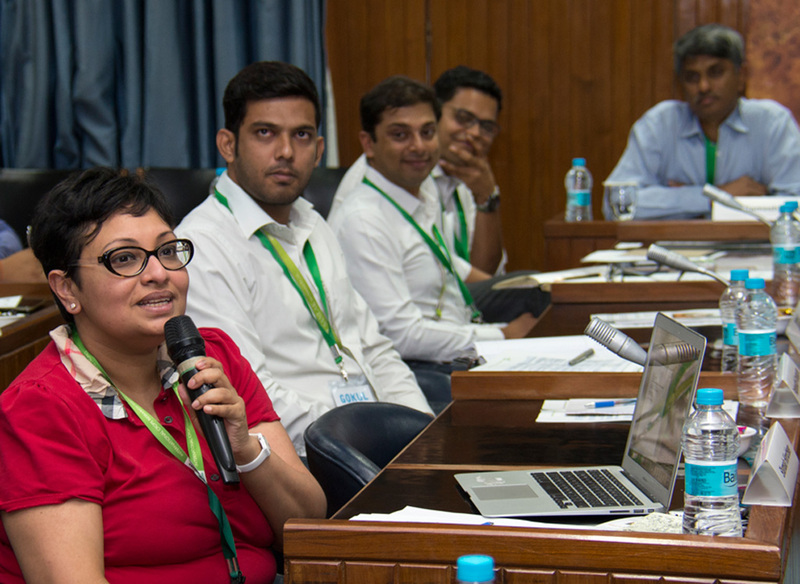 This was followed by an open sharing by food processors on what has worked for marketing millet products to urban markets in India and brainstorming new approaches. 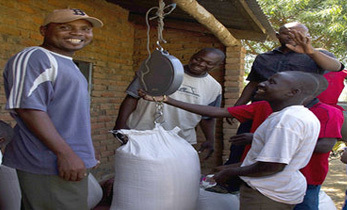 A campaign is being planned that will have strong engagement by the millet processors, retailers and consumers. 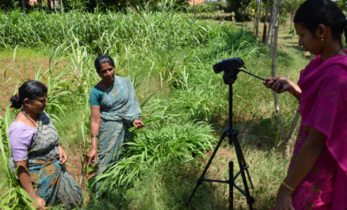 Four partnerships were signed at the event – expected to be just the beginning of what will be a multi-stakeholder initiative to popularize millets. 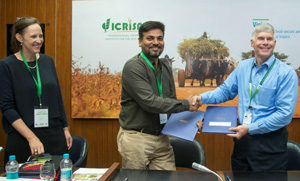 ICRISAT and IIMR signing an MOU to engage in Smart Food activities and co-lead the initiative in India. 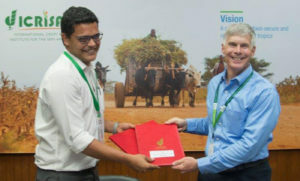 ICRISAT and three millet food processors signing an MOA to jointly promote Smart Food and select products to be representative of Smart Food Signature Products. 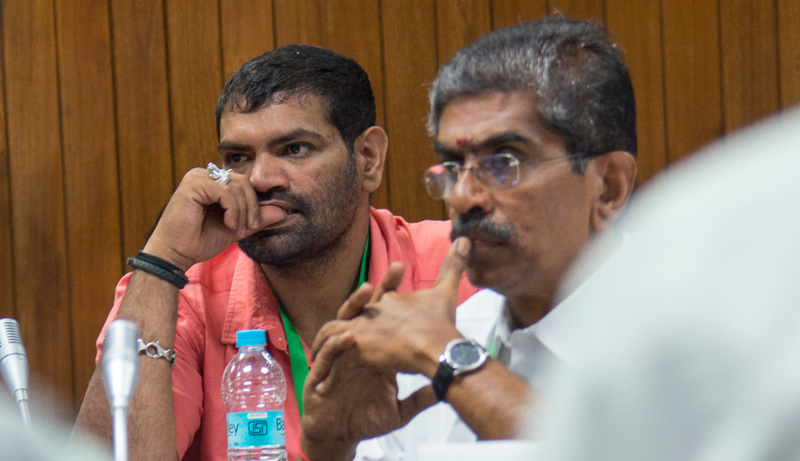 Prashant Parameswaran (Left), Managing Director, Kottaram Agro Foods and Dr Bergvinson. 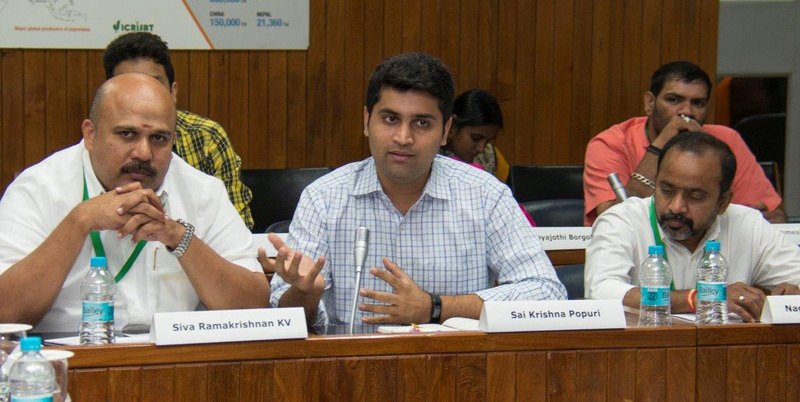 Mr Vikram Sankaranarayanan (Left), Managing Director, SanLak Agro-Industries and Dr Bergvinson. 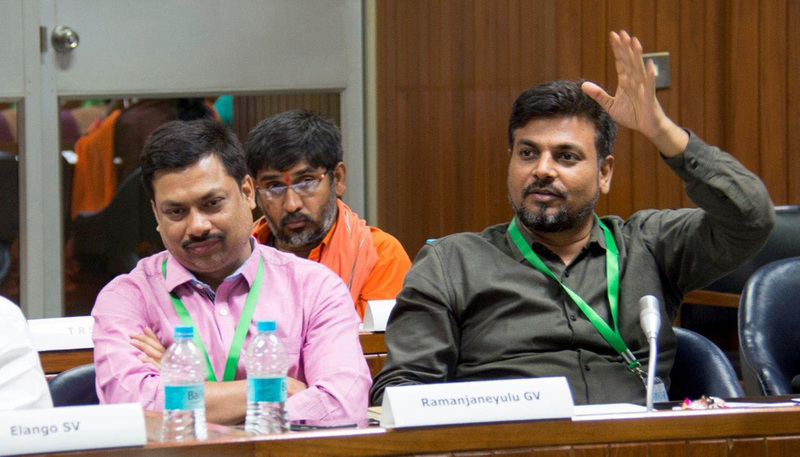 (L-R) Ms Kane-Potaka and Sridhar Iriventi, Co-founder and Director, GoBhaarati Agro Industries and Dr Bergvinson.